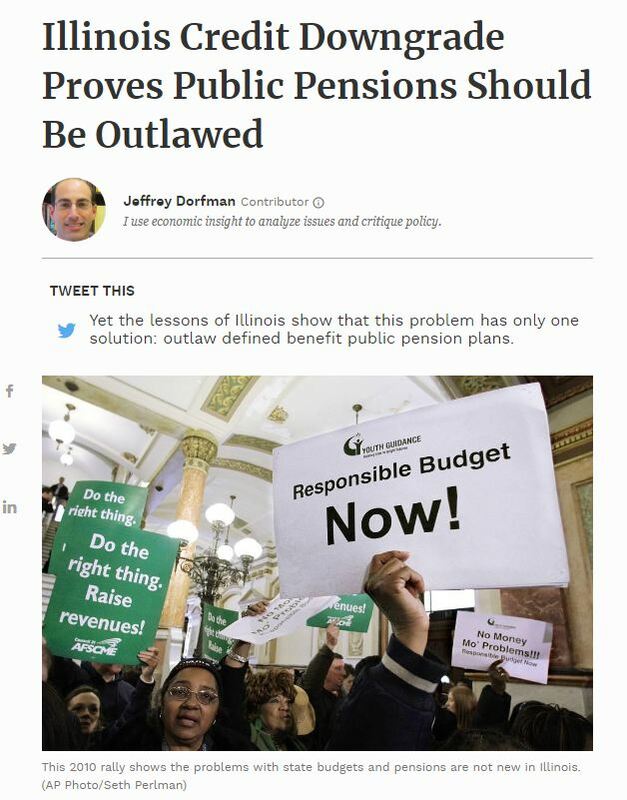 The commentary that has appeared in Forbes calls for the only solution is to outlaw pensions. This is actually what will happen. Because there is no resolution, the government pensions will demand to raise taxes and then there is never any reform in government so the end game is one major economic confrontation – the people v government. They really cannot grasp that the crisis is profound. For every person who retires, the government hires a replacement. The cost of government explodes exponentially. The system is doomed and this is what is going to rise up into civil unrest. Federal governments can create money but state/provincial and local government can only raise taxes. In Germany, the lessor governments are petitioning the federal government for a bailout since already 40% are effectively broke. 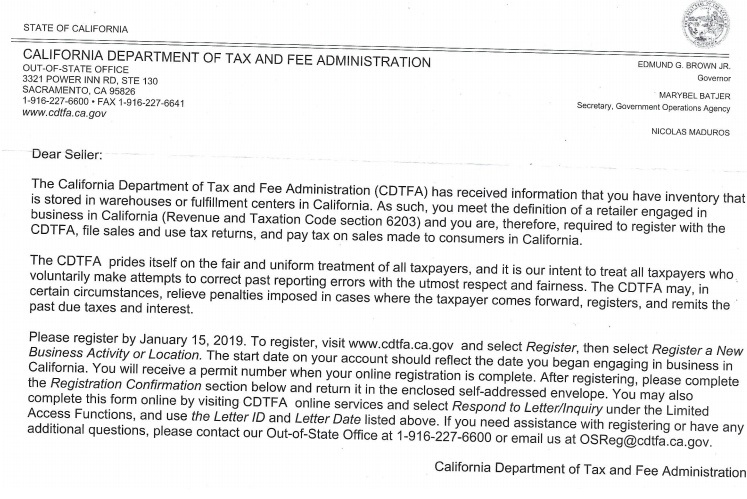 It is this desperate letter we received from California trying to claim we must pay taxes simply because Amazon may store some reports or DVDs in their California warehouse. If you buy something from Amazon, they send it to you and collect whatever tax. They remit the tax and we do not mail the products nor receiver the taxes collected. We would have no idea what tax would be owed to California. Obviously, we have no choice but to inform Amazon to remove all our products from California. If everyone is compelled to do the same, then there go those jobs in their California warehouse. There is no rational reasoning with these people. They will simply destroy the economy because they are greedy and beyond hope. What will happen is drastic. Do companies not residing in California simply refuse to do business with anyone from California? Already we cannot send printed reports or books to Australia. Amazon refuses to deal with Australia because of taxes and our Australian clients can only get downloads. Eventually, Australia will impose internet taxes and that will only isolate Australia. This is all becoming insane.